Now available from Crossfire Motorcycles and ATV , the Mustang Evo 2 ATV 270 brings together the best of both worlds; a workhorse quad that can play. 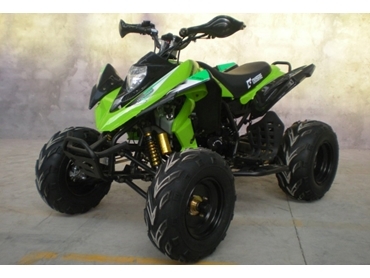 With a powerhouse 250cc OHC Zongshen motor coupled with a 30 mm carby, the Mustang Evo 2 ATV 270 has enormous grunt. Ecliptic chain tensioning system to guarantees the sprockets are in perfect alignment when the chain does need adjusting.